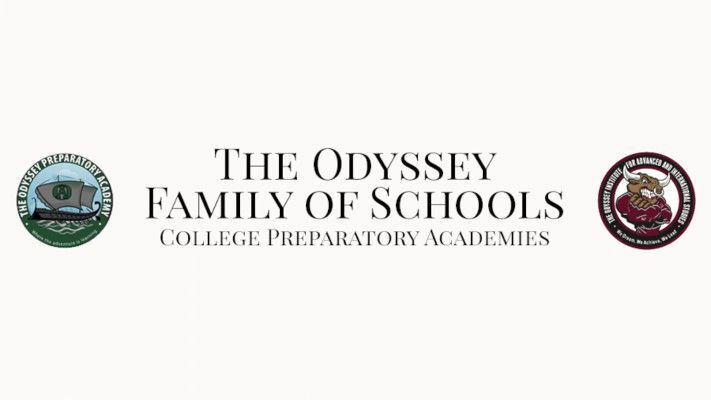 The Odyssey Preparatory Academy – Navigating Knowledge. Creating Character. Launching Leaders. Focusing Globally. Welcome to The Odyssey Family of Schools. In March of 2008, our first informal parents meeting took place at the Buckeye Chamber of Commerce. On January 13, 2009, The Arizona State Board for Charter Schools granted us our charter. The Odyssey Family of Schools started off in a strip mall with over 400 scholars in kindergarten through sixth grade. In the fall of 2010, we opened up the Odyssey Buckeye Apache campus with 600 scholars. In 2011 we opened up the Odyssey Goodyear campus, followed by opening of the Odyssey Institute for Advanced and International Studies for junior high and high school in 2012. In the 2016-2017 school year, the Sienna Hills elementary school campus and the Junior High campus were officially opened. Today, the Odyssey Family of Schools consists of five campuses educating approximately 3,000 scholars from kindergarten through twelfth grade. Our youngest scholars begin their learning adventure at The Iliad Preschool where they are exposed to academics, foreign languages, art, music, physical education, and making responsible choices. 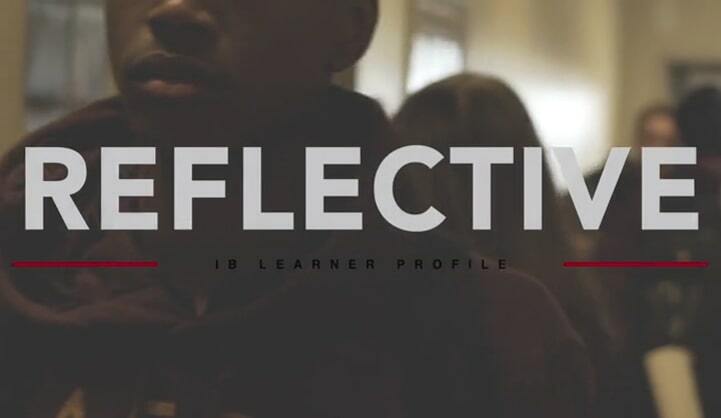 The quest for knowledge continues as scholars navigate their way through our phenomenal Odyssey Preparatory Academies and The Odyssey Institute for Advanced and International Studies. The journey concludes–not simply with college admission–but by the wholehearted admission of life-long scholars and principled individuals into a global society in which they are prepared to flourish and lead. We emphasize our mission, vision, and core values every day. The Odyssey Family of Schools aims to develop inquiring, knowledgeable, and caring scholars who work to create a better and more peaceful community through intercultural awareness, understanding, and respect. Our scholars will grow as part of a challenging environment that facilitates creativity and fun. Our scholars will be empowered to use their unique talents to become active, compassionate, and lifelong learners who understand that other people, with their differences, contribute to solution. At The Odyssey Family of Schools each child matters. Odyssey provides a safe and secure environment where all children are given the opportunity to discover and use their talents to make a positive impact on their community and the world. Through the use of innovative curriculum and technology, students at Odyssey will be prepared to lead in the ever-changing global market place. The positive nature of the Odyssey environment will inspire all team members and will contribute to low teacher turnover and extensive parent volunteerism. At The Odyssey Family of Schools every scholar matters and all scholars will be empowered to use their talents in order to grow emotionally and academically. The Odyssey Family of Schools will promote an environment of excellence and professionalism. Growth isn’t always measured by test scores. Scholars will be challenged and will feel safe to explore and learn new things on a daily basis. All scholars will be engaged in a learning environment of creativity and fun. At The Odyssey Family of Schools all team members are appreciated and valued for their hard work everyday. By reciting these values every morning, posting them prominently in every classroom, referring to them frequently throughout each school day, (and even removing them from the wall and taking them with us on a fire drill!) we emphasize their importance and model our respect for guidelines and rules. 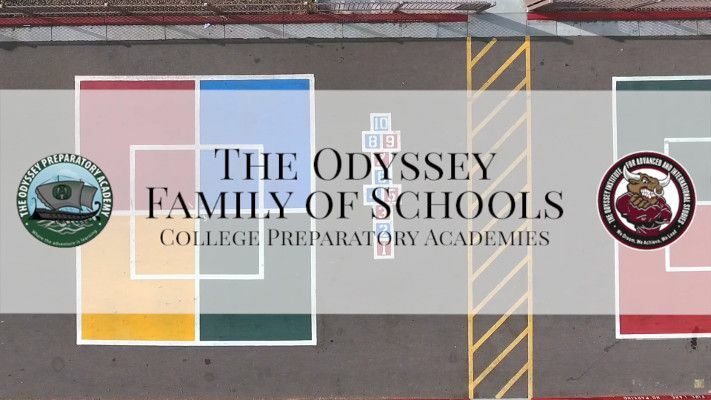 At The Odyssey Preparatory Academy we actively seek to create and nurture a culture of academic excellence and ethical behavior that is embraced by all team members. Our bar of expectation is set nothing short of excellence for our scholars, staff, and faculty. 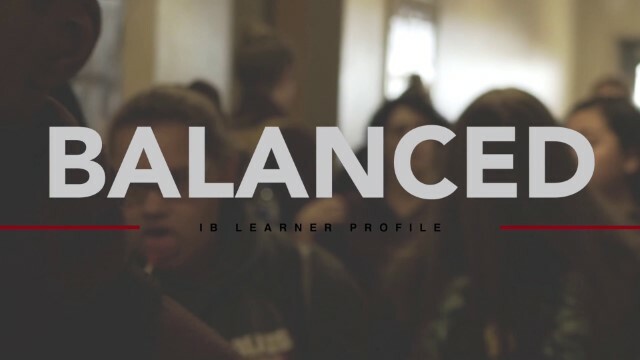 As a school of choice, we acknowledge that the challenges of our academic pacing and our emphasis on individual scholar responsibility may not be the best fit for every family. However, for those who are willing and able to make a commitment to the rigors of Navigating Knowledge, Creating Character, Launching Leaders, and Focusing Globally…we say, Let the adventure begin! The Odyssey Family of Schools – Family of Schools grounds itself in principles recognized as the Four Pillars. Odyssey differentiates itself in the educational community by implementing the programs within these pillars that will prepare scholars to succeed in University and beyond. The Odyssey Family of Schools is excited you’re interested in enrolling at one of our schools. Enrollment slots are awarded on a first-come, first served basis, based on the date that complete pre-registration information is submitted. Enrollment preferences for children of employees and governing board members and siblings of enrolled scholars are given as per ARS §15-184. We will begin contacting new scholars for enrollment on November 26, 2018. Following that date, enrollment is offered on a rolling basis as seats become available. Completed enrollment documentation must be submitted within ten days of the offer or the offer will expire and pre-enrollment must be completed anew. 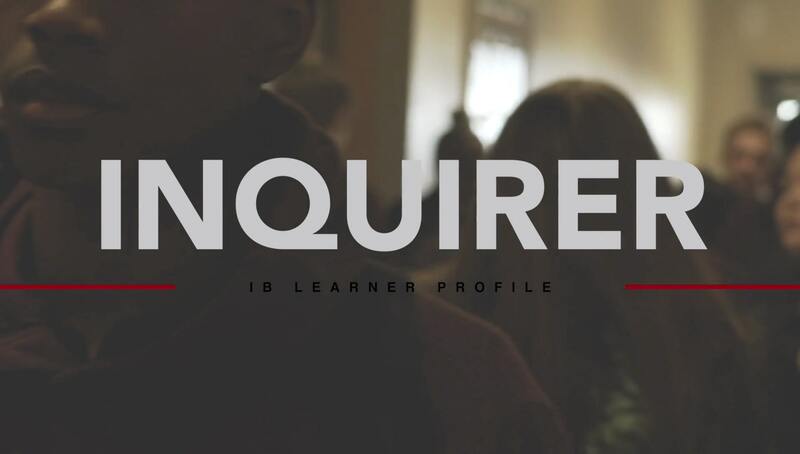 All pre-enrollment applications for the 2019 - 2020 school year are due by July 31, 2019. We are encouraging all our families to include The Odyssey Family of Schools (The Odyssey Family of Schools and The Odyssey Institute for Advanced and International Studies) as one of your yearly charitable donations. If you donate $400 to Odyssey, and you are eligible for reimbursement, you will receive $400 back from the state of Arizona. If you owe the state taxes this donation will reduce the amount you owe by $400. A contributor can also deduct this donation on the federal tax form. Africa will be the destination for a field trip for two students and an administrator from the Odyssey Preparatory Family of Schools who will participate in a project to improve access to drinking water for a village. 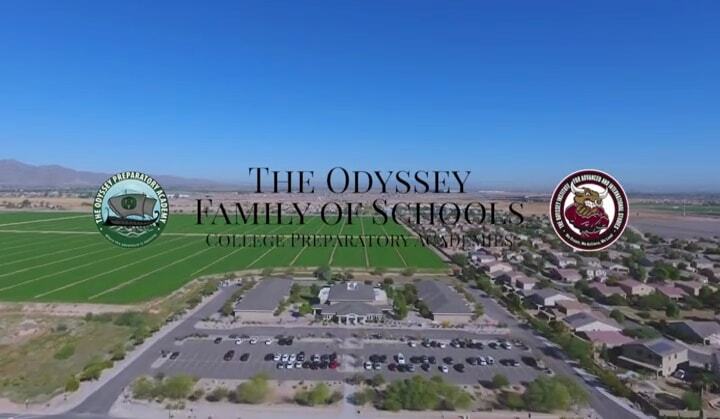 Board meetings for The Odyssey Preparatory Academy will be held at 1495 S. Verrado Way, Buckeye, AZ 85326. The meeting agendas are posted on this website below. Agendas will be posted no less than 24 hours prior to the meeting. Meeting Minutes from any prior meeting not posted are available upon request. TOPA’s 3rd Core Value is “Growth is not always measured by test scores.” We will always adhere to the core value as we know scholars learn more when they are engaged in meaningful learning, not simply test taking skills. However, we also understand that AZ Merit scores always peak public interest; as a way to make TOPA’s AZ Merit scores easy to read, we have compiled the following data by campus. To see the result graphs for the 2018-2019 year, click here: 2018-19 AZ Merit. It is the policy of The Odyssey Preparatory Academy (“TOPA”) to not discriminate in employment, admission, treatment or access to its programs or activities on the basis of disability. TOPA has adopted an internal grievance procedure providing for prompt and equitable resolution of complaints alleging any action prohibited by Section 504 of the Rehabilitation Act of 1973 (29 U.S.C. 794) or by Title II of the Americans with Disabilities Act. Section 504 and Title II prohibit discrimination on the basis of disability in any program or activity receiving Federal financial assistance. TOPA’s Director of Special Education/Section 504-Title II Coordinator has been designated to coordinate the efforts of TOPA to comply with Section 504 and Title II. The Director of Special Education/Section 504-Title II Coordinator can be reached at: Director of Special Education/Section 504-Title II Coordinator 1495 S. Airport Rd. Buckeye, AZ 85326 623-327-1757 (Phone) 623-327-0554 (fax) Holly Johnson (admin@topamail.com) Any person who believes she or he has been subjected to discrimination, harassment, or retaliation on the basis of disability may file a grievance under this procedure. TOPA prohibits retaliation against anyone who files a grievance or cooperates in the investigation of a grievance. Procedure: Grievances must be submitted to the Section 504/Title II Coordinator within six months of the date the person filing the grievance becomes aware of the alleged discriminatory action. A complaint should be, but is not required to be, in writing, containing the name and address of the person filing it. The complaint must state the problem or action alleged to be discriminatory and the remedy or relief sought. If the Complainant is unable to put the complaint in writing, TOPA shall provide reasonable accommodations to assist the Complainant with submission of his/her complaint. (Note: Please see the attached Complaint form, which may be used to file a complaint in conformance with these procedures). The Section 504/Title II Coordinator (or her/his designee) shall conduct an investigation of the complaint. This investigation may be informal, but it must be thorough, affording all interested persons an opportunity to submit evidence relevant to the complaint, including the opportunity to present witnesses. The Section 504/Title II Coordinator will maintain the files and records of TOPA relating to such grievances. The Section 504/Title II Coordinator will issue a written decision on the grievance no later than 30 days after its filing, unless extenuating circumstances require an extension of the 30 day timeline. In such a case, the Section 504/Title II Coordinator (or her/his designee) will communicate with the Complainant concerning the need for an extension. The person filing the grievance may appeal the decision of the Section 504/Title II Coordinator by writing to TOPA’s Co-Directors within 15 calendar days of receiving the Section 504/Title II Coordinator’s decision. The Co-Directors shall issue a written decision in response to the appeal no later than 30 calendar days after its filing. TOPA shall maintain confidentiality as required by the Family Educational Rights and Privacy Act (FERPA). The availability and use of this grievance procedure does not prevent a person from filing a complaint of discrimination on the basis of disability with the U. S. Department of Education, Office for Civil Rights. TOPA will make appropriate arrangements to ensure that disabled persons are provided other accommodations, if needed, to participate in this grievance process. Such arrangements may include, but are not limited to, providing interpreters for the deaf, providing taped cassettes of material for the blind, providing a scribe for submission of the complaint, or assuring a barrier-free location for the proceedings. The Section 504/Title II Coordinator will be responsible for such arrangements. When children are “found”, they are referred to a specialist to screen their development. The screening helps “identify” any areas of concern that need to be evaluated further. In order to receive early intervention or special education services, a child must be evaluated to confirm they have a delay or disability that falls under state definitions. If needed, the child is evaluated using state criteria for specific delays or disabilities. If eligible, the Arizona Early Intervention Program or a public school system will offer early intervention or special education services according to the child’s needs. Early intervention supports and services assist families of children who are eligible by helping children ages Birth to three years develop to their full potential. In Arizona, early intervention services are provided through the Arizona Early Intervention Program (or AzEIP). If you have any concerns, please contact the special education office at any campus or call the district office at (623) 327-1757. For information regarding the procedural safeguards for Section 504, please click here. Click here to view the Annual Financial Report as submitted to the Arizona Department of Education.